A few years back, I was lucky enough to spend one month during the spring in the lovely seaside town of Biarritz. I knew nothing about the city when I arrived, but luckily with the help of some locals, I discovered the most amazing places to visit in this charming French city known for its sandy beaches and Basque culture. 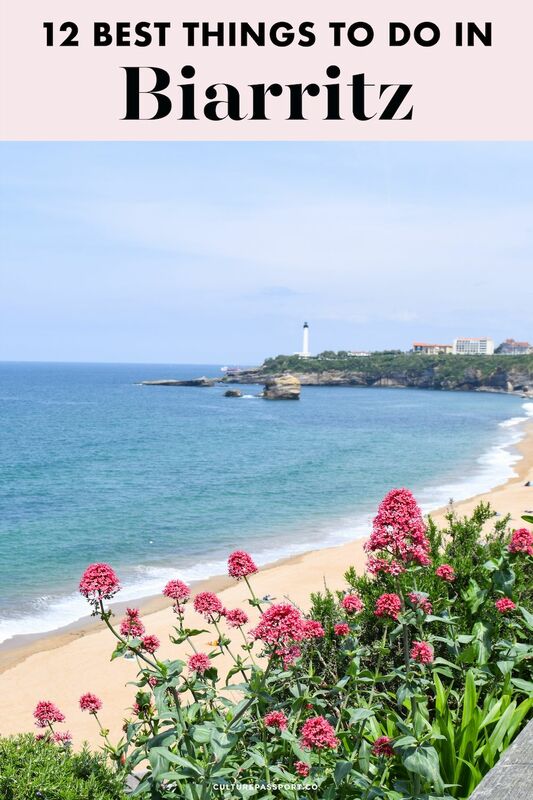 Biarritz was even featured as one of the top 10 European summer destinations, so it should definitely be on your radar ! 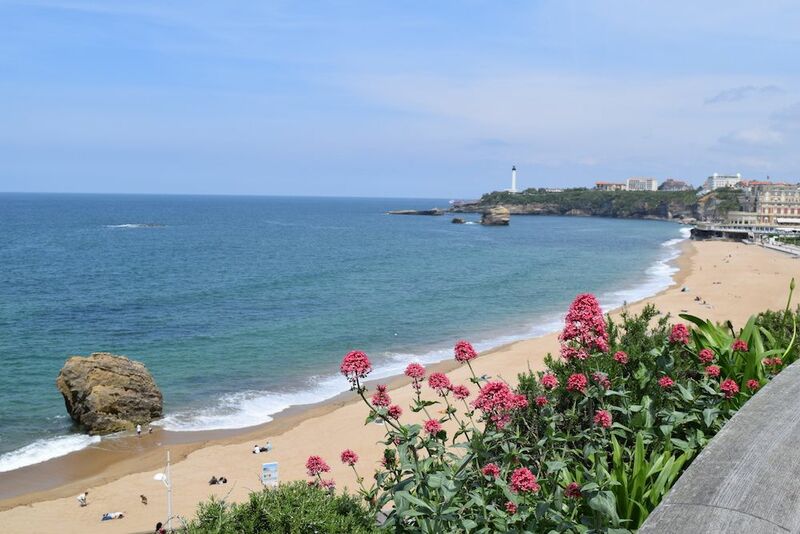 If you find yourself heading to the south west of France, then here are twelve of my favorite things to do, see and eat in Biarritz! Visit the Grande Plage – The Grande Plage is the main beach in Biarritz, located right next to the downtown centre ville. It’s a sprawling beach filled with the colorful, striped tents that Biarritz is known for. 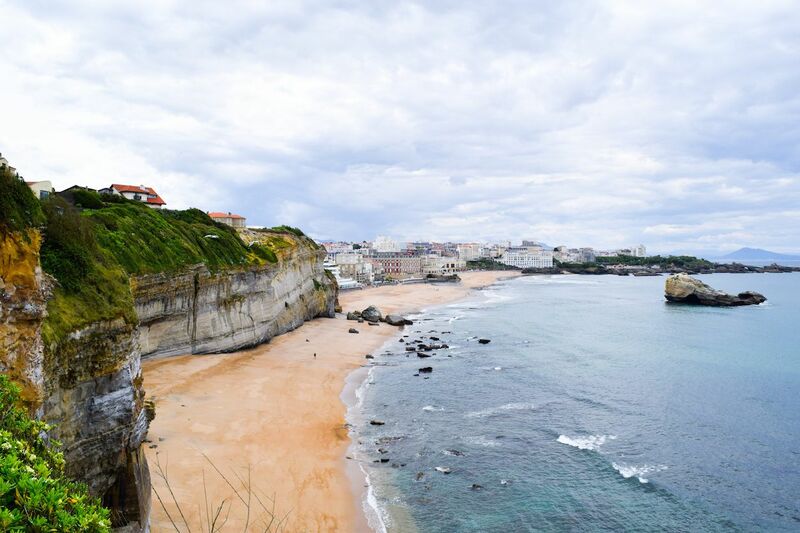 Grab a snack and some beverages, and head to this classic Biarritz beach for a day in the sun! 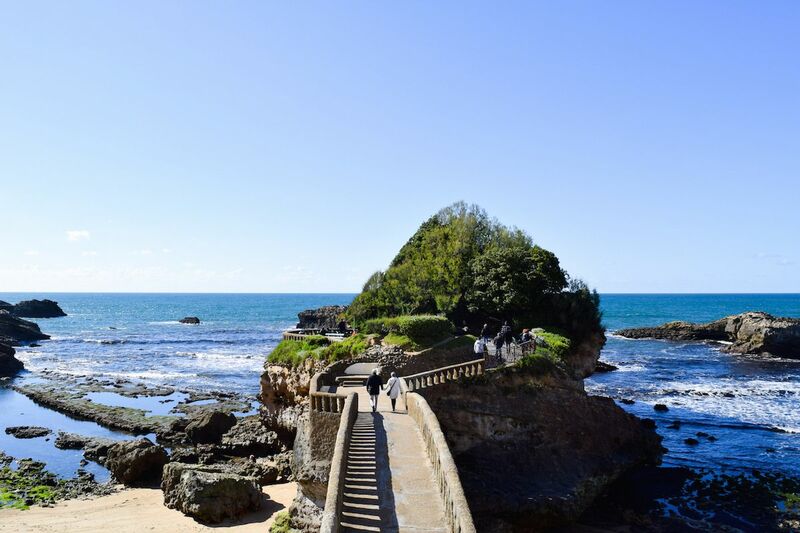 See the Rocher de la Vierge – One of the most famous attractions in Biarritz is Rocher de la Vierge, a rock formation which juts out into the Bay of Biscay via a metal footbridge. The statue of the Virgin Mary was constructed in 1865, long after the rock was used as an anchor point for Napoléon III! Walk around Rocher du Basta – Rocher du Basta is a small island next to the Grand Plage, accessible via a gorgeous bridge made of rock. Enjoy a terrific view of the ocean and Grande Plage from this lookout spot. 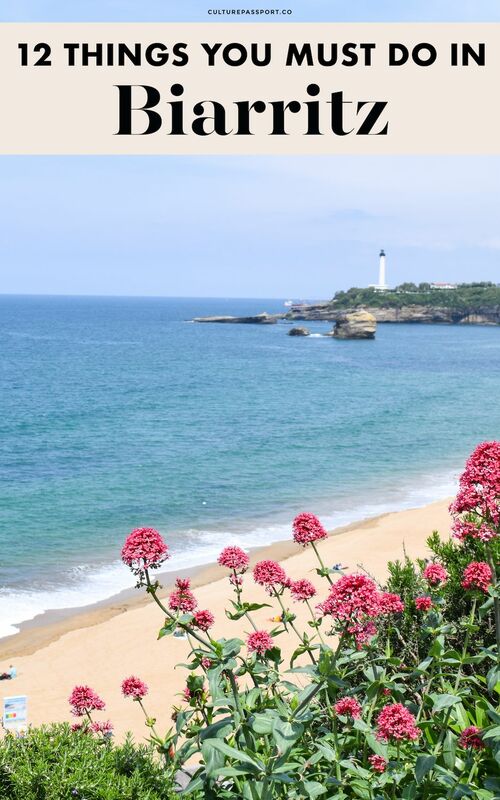 Enjoy views from Le Phare – On the far side of the Grand Plage is Biarritz’s famous lighthouse. What’s most interesting about this spot is the incredible heights from which you can see the ocean, and city. It’s about a 15 minute walk from Biarritz’s city center, and certainly worth the trek for the magnificent natural surroundings! La Côte des Basques – Watch the sun set from the open-air bar Les 100 Marches or climb down the “100 steps” to watch the surfers at the beach below, Cote des Basques. 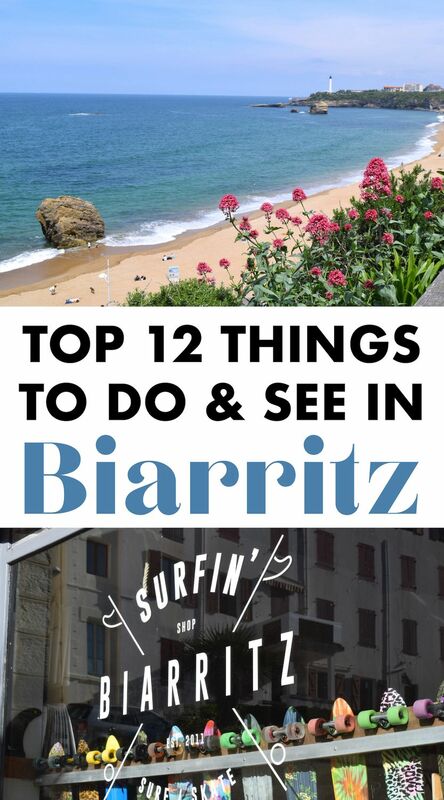 What are your favorite things to do in Biarritz?